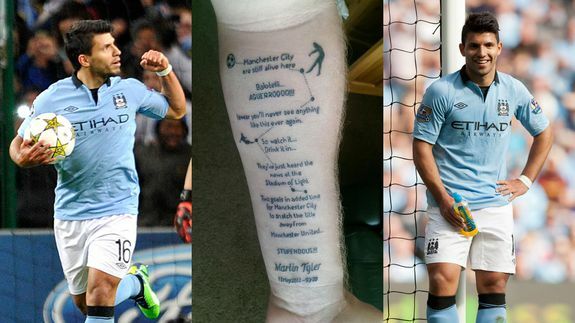 Premier League fans keep getting completely insane soccer tattoos - trendistic.com: ever tried. ever failed. no matter. try again. fail again. fail better. We’re just a few weeks into the season that’s already seen not one, but two West Ham fans ink themselves with corporeal commemorations following big wins. But — thanks to a Manchester City fan who would not be outdone — we now have a new clubhouse leader for Best/Craziest Premier League Tattoo of 2015.